Factory Appliance Service Team is a state licensed and insured contractor located in Port St Lucie, FL. 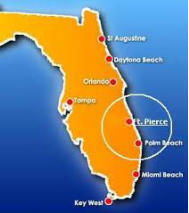 We service St Lucie and Martin Counties. Factory Appliance Service Team / Fast Air is fully accredited “A” rated with the Better Business Bureau. Call Today! 772 370-9726 Immediate Same Day Service 24 hour 7 Day Service Save 15% off Repair on First Time Service Factory Appliance Service Team / Fast Air is family owned & operated with over 34 years experience. Our technicians are certified and factory trained. We service Residential Air Conditioning and all Major Appliances: Refrigerators * Washers * Dryers * Ranges * Freezers * Dishwashers * Ice Makers * Ice Machines * Garbage Disposals * All Majors Appliance Brands: Kitchen Aid * Whirlpool * Kenmore * Sub- Zero * Jenn-Air * Amana * Hotpoint * Maytag * GE * Frigidaire * Insinkerator Air Conditioning Systems: Rheem * Ruud * Trane * Carrier * Goodman * Lennox and more. Factory Appliance Service Team is a state licensed and insured contractor located in Port St Lucie, FL. We service St Lucie and Martin Counties. Factory Appliance Service Team / Fast Air is fully accredited “A” rated with the Better Business Bureau. Call Today! 772 370-9726 Immediate Same Day Service 24 hour 7 Day Service Save 15% off Repair on First Time Service Factory Appliance Service Team / Fast Air is family owned & operated with over 34 years experience. Our technicians are certified and factory trained. We service Residential Air Conditioning and all Major Appliances: Refrigerators * Washers * Dryers * Ranges * Freezers * Dishwashers * Ice Makers * Ice Machines * Garbage Disposals * All Majors Appliance Brands: Kitchen Aid * Whirlpool * Kenmore * Sub-Zero * Jenn-Air * Amana * Hotpoint * Maytag * GE * Frigidaire * Insinkerator Air Conditioning Systems: Rheem * Ruud * Trane * Carrier * Goodman * Lennox and more. © Factory Appliance Service Team, Inc.